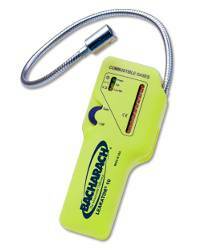 Bacharach Leakator 10 Combustible Gas Leak Detector for Ethylene Oxide (ETO). Includes carrying case, gas sensor, flexible probe, and instruction manual. Low maintenance and Easy to use. Up to 30 hours of continuos operation. ABS Housing. CE Mark and UL approved for Class 1 Div 1 Groups A, B, C and D.
Bacharach’s Leakator ® 10 is a rugged handheld combustible gas leak detector unit loaded with advanced features and low-maintenance that contractors and service professionals demand. This easy-to-use instrument detects acetone, acetylene, ammonia, benzene, butane, ethanol, ethylene oxide*, gasoline, hexane, hydrogen, industrial solvents, methane, naphtha, natural gas, paint thinners and propane. 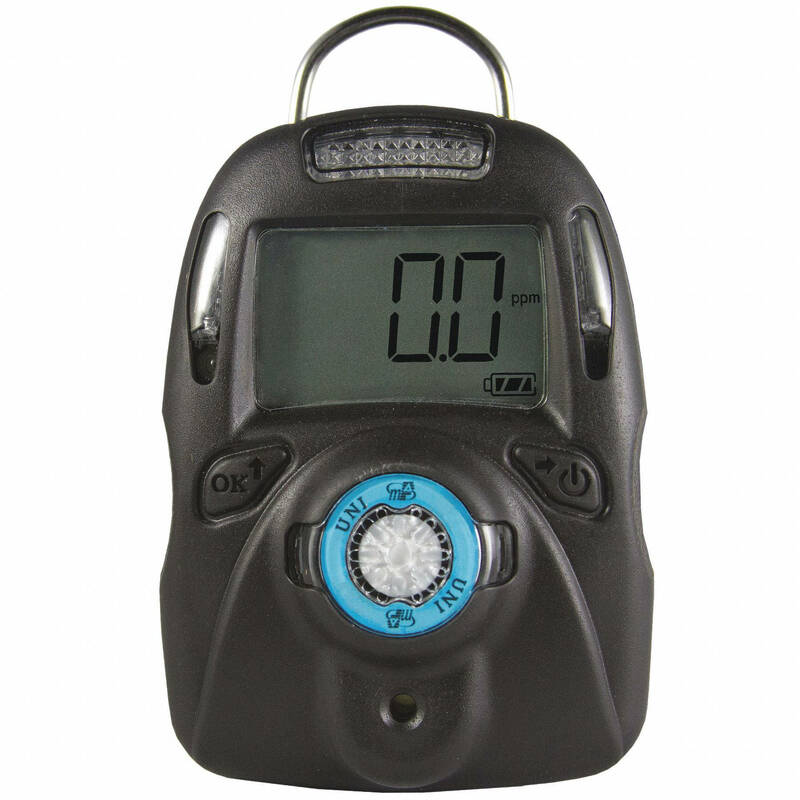 Powered for up to 30 hours of continuous operation with five C alkaline batteries, the Leakator ® 10 comes with a flexible 20 inch probe for the location of leaks in any large area or hard-to-reach location. Just turn on the instrument, wait about 55 seconds for the automatic self-check, then point and quickly target potentially hazardous conditions with visual and audible indicators. The Leakator ® 10 includes an easy-to-use sensitivity thumb-wheel control to aid in pinpointing the smallest leaks. The self-storing probe keeps the Leakator ® 10 probe and sensor protected when not in use. Status Indicators:	 Visual - 10 Ultra-Bright Red LED’s. > LEAK DETECTORS > ETHYLENE OXIDE : 12 Items found. mPower UNI Portable Single Gas Detector for detection of Ethylene Oxide (ETO) 0-100ppm or 0-200ppm. Includes large LCD display, 6 Bright Red Flashing LED, Vibrating and 90dB Audible Alarm Port. IP67, Event Logger, UL approval for Class I Div 1. 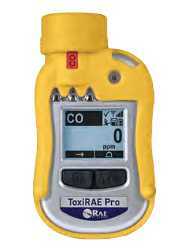 ToxiRAE Pro PGM-1860 Personal Portable Monitor For Ethylene Oxide (EtO) 0-100 ppm with replaceable sensor, filter and Li-ion battety. Automatic bumb testing and calibration with AutoRAE 2 (optional). Includes Datalogging, Graphical LCD display, 2 buttons for operation and programming. CSA, ATEX, IECEx and China Ex Approved. IP-65. Wireless-capable option. 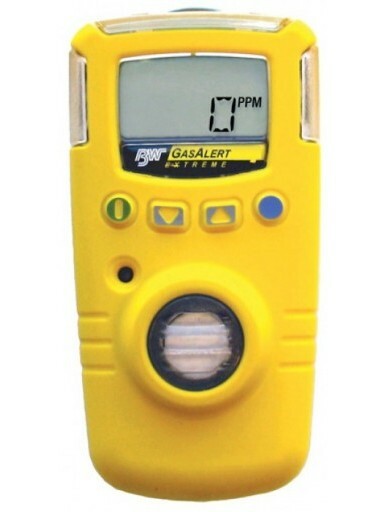 BW GasAlertExtreme Portable detector with gas concentration readout for Ethylene oxide (ETO) (C2H4O) 0-100 ppm. 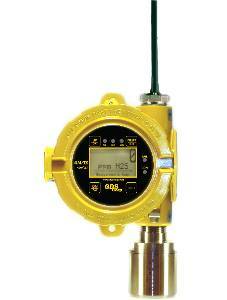 Delphian GazTell Fixed Point Electrochemical Gas Detector for Ethylene Oxide (ETO) 0-10 ppm. 4-20mA Output. Optional Modbus RTU Output and Alarm Relays. SIL2 Approval. 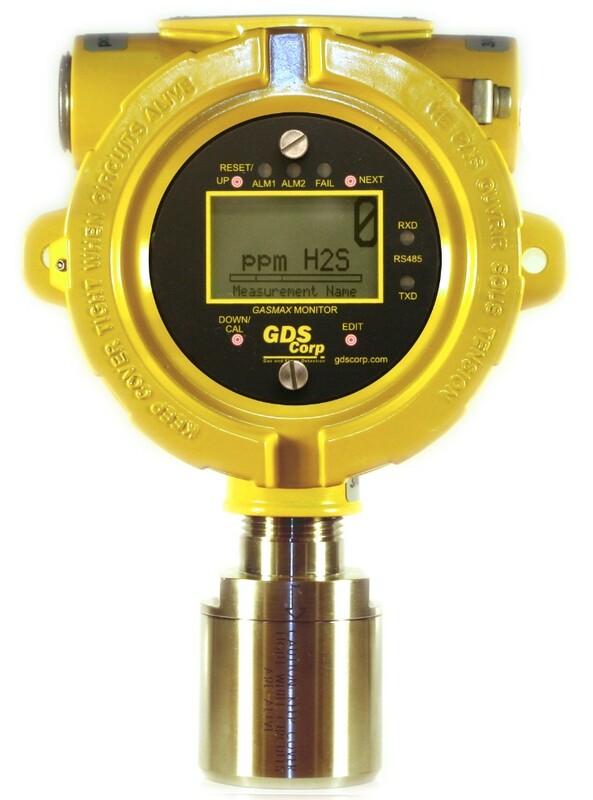 Suitable for Class I Div 1 & 2 Groups C, D.
GDS GASMAX/EC 2-Wire Gas Detector with local stainless steel sensor head explosion proof (XP) configured for Ethylene Oxide EtO (C2H4O) with range 0-50 to 0-200 ppm, 4-20 mA output transmitter. GDS GASMAX II 3-Wire Gas Detector with local stainless steel sensor head configured for Ethylene Oxide EtO (C2H4O) with range 0-50 to 0-200 ppm, 4-20 mA output transmitter with optional Alarm Relay Board (3x 5A SPDT) and RS-485 Modbus RTU. Detcon DM-700-C2H4O Electrochemical "Smart" Ethylene Oxide (C2H4O) 0-100 ppm Sensor Assembly with LED display. 4-20mA and Modbus RS-485 outputs. 316 Stainless Steel Housing. Water Proof, Corrosion Proof, Vibration Proof and Explosion proof. NEMA 4X. IP66. Class I, Div. 1, Groups B, C, & D. CSA and ATEX approvals. 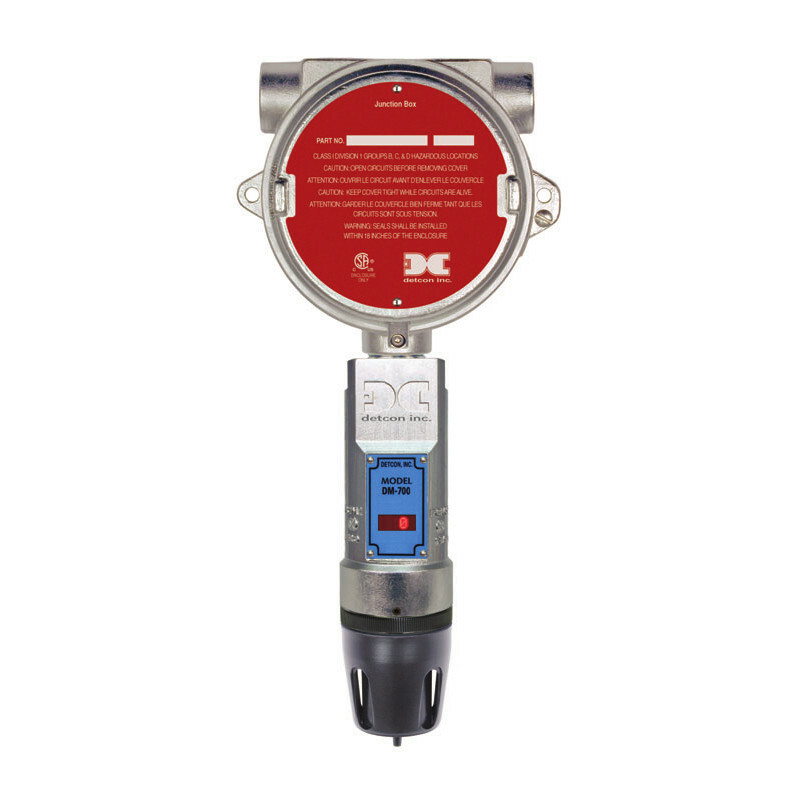 GDS GDS-IR Infrared Remote Gas Detector Transmitter with Stainless steel sensor head configured for Ethylene Oxide (ETO) with range 0-50% LEL (0-1.5% Vol), 3-Wire output 4-20 mA transmitter, Explosion Proof (XP). 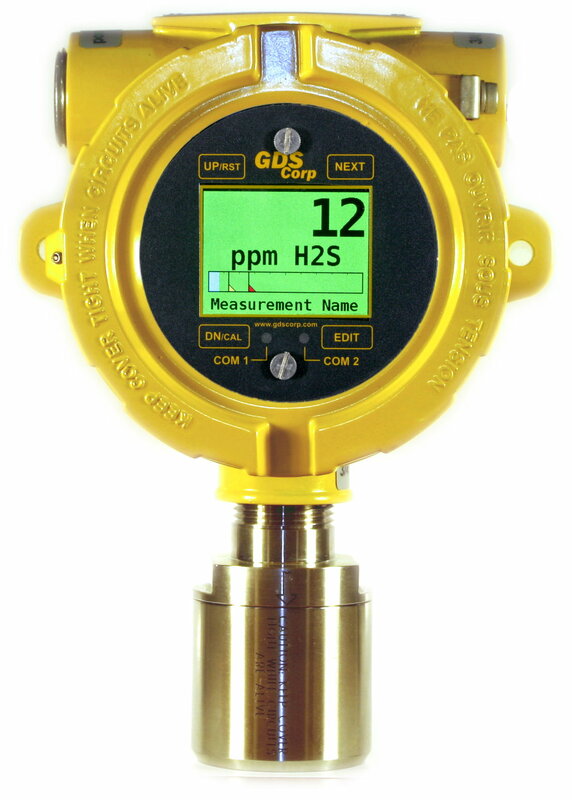 GDS GASMAX/ECX Single Channel Wireless Gas Monitor with Local sensor head (XP, IS) configured for Ethylene Oxide (C2H4O) with range 0-50 to 0-200 ppm. A1, A2 and Fault LEDs for rapid recognition of alarm. 900 MHz or 2.4 GHz Integrated Modems. GDS GASMAX CX 3-Wire Gas Detector with local stainless steel sensor head configured for Ethylene Oxide EtO (C2H4O) with range 0-50 to 0-200 ppm, QVGA color TFT display, 4-20 mA output transmitter, Ethernet Modbus TCP RJ-45 port with built-in web server. Optional Alarm Relay Board (4x 5A SPDT) and RS-485 Modbus RTU. 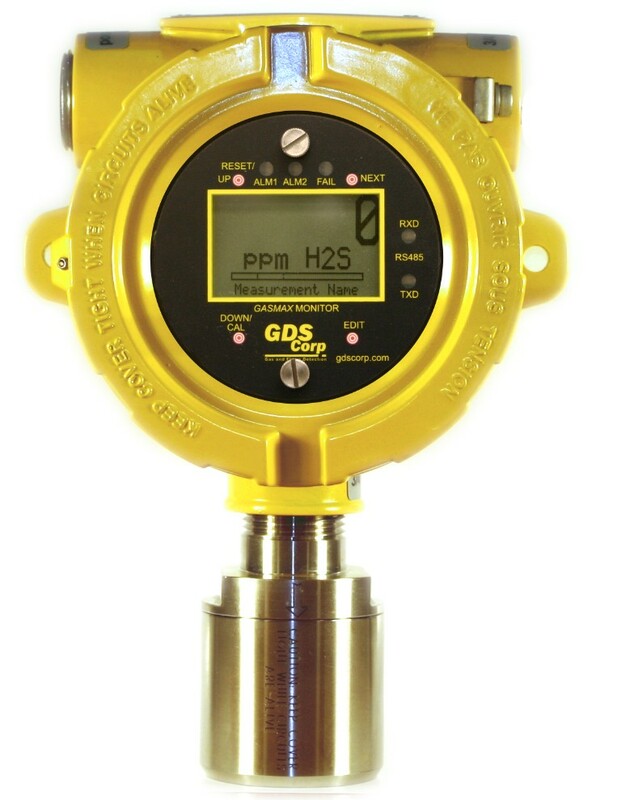 CSA Certified for Class I, Div 1, Grps B, C, D.
GDS GASMAX IIx Sigle Channel Wireless Gas Monitor with local sensor head configured for Ethylene Oxide (C2H4O) with range 0-50 to 0-200 ppm. A1, A2 and Fault LEDs for rapid recognition of alarm. 900 MHz or 2.4 GHz Integrated Modems and standard 4-20 mA outputs, 24 VDC. 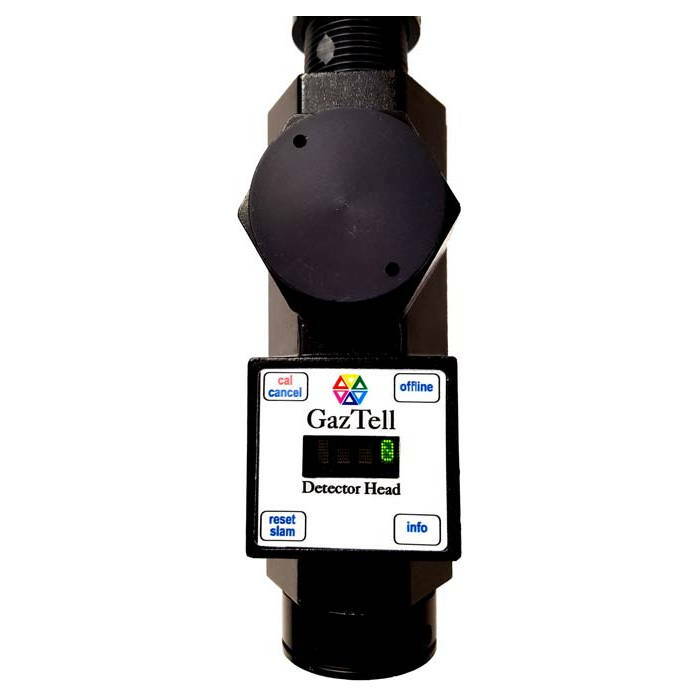 GDS GASMAX TX Stand-Alone Wireless Gas Monitor with stainless steel sensor head and integrated sensor configured for Ethylene Oxide EtO (C2H4O) with range 0-50 to 0-200 ppm. Battery-Powerded. 900 MHz or 2.4 GHz Integrated Modems. LCD Display and Aluminium Housing. FCC and IC approvals.